During the course of his forty years in public life, Thomas Jefferson (1743-1826) had a profound influence on the formation of the American legal and political system. He began his career as a lawyer and a farmer and became a champion of equal rights, religious freedom and public education. In 1776 Jefferson drafted the Declaration of Independence. He went on to serve as governor of Virginia (1779-81), minister to France (1785-89), and Secretary of State under Washington (1790-93). He was elected Vice President in 1796 and then served two terms as President from 1801-1809. Aside from his political influence, Jefferson’s legacy includes creating the decimal monetary system and founding and designing the University of Virginia. This park was planned and named by the Board of Aldermen in 1894, though the land for it was not purchased until 1897. It opened on October 7, 1905 to provide organized play to the children of “Little Italy,” as the crowded tenement district in East Harlem was then known. The park contained two playgrounds, two gymnasiums, baths, comfort stations, and a classical pavilion which provided shelter and recreation space. The structure stood at 112th Street and East River Drive until the 1970s when it was destroyed by vandals. 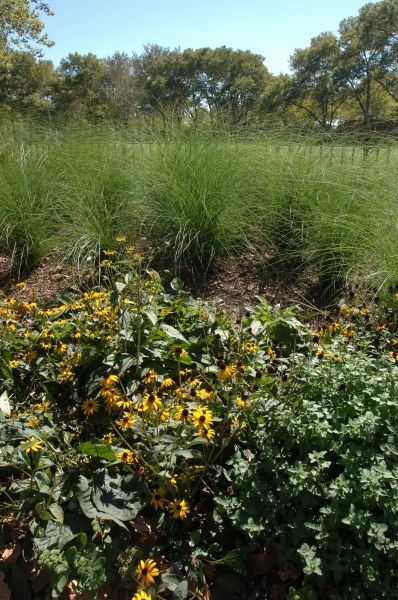 A children’s farm garden, one of many which flourished in parks in the first half of the 20th century, opened on May 20, 1911 with 1008 plots for children to grow flowers and vegetables. Designed as a place of respite for child laborers, the farm garden later hosted nature study classes and, during the World Wars, provided a lesson in self-sufficiency for local children. The park’s facilities were expanded in the 1930s according to the vision of Parks Commissioner Robert Moses. June 27, 1936 marked the dedication of the second of ten pools to open that summer. Ten thousand people attended the ceremony celebrating “the last word in engineering, hygiene and construction.” Boccie courts were also added around this time. The playgound adjacent to Benjamin Franklin High School has been open since 1942. The school was renamed the Manhattan Center for Math and Science in 1982. A renovation of the pool and recreation center was completed in 1992 by architect Richard Dattner under a $10.5 million capital project. The park was newly landscaped and reconstructed in 1994. 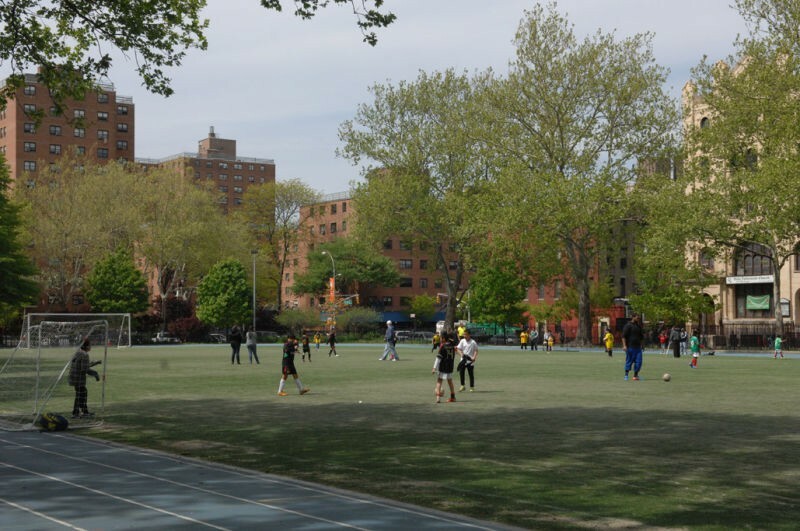 The center’s programming includes boxing, fencing, martial arts, and aerobics, and the ballfields are popular with East Harlem teams. The park features two sculptures that were commissioned and installed in 1995 through a joint effort by Parks and the Department of Cultural Affairs’ Percent for Art Program: Tomorrow’s Wind by Melvin Edwards and El Arbor De Esperanza, or Tree of Hope, by L. Brower Hatcher.